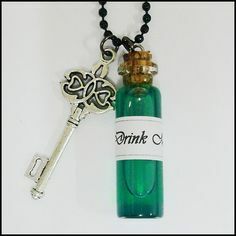 When Alice was required to shrink in order to fit through the hidden door, the ‘Drink Me’ potion was her key. When using the ‘Eat Me’ key, she outgrew the house. These inconveniences did not deter her. They made her more curious. She decided to find The Key That Fits Every Lock. That would take a lot of looking, but it would save a lot of time. Apart from the fact that That key could open any – and every – lock, it was also more often to be found on her keyring when she needed it most. Once a key has been eaten, it’s been eaten. Of course trying new keys was advisable when they were made available, but picking locks with That one key was quicker. The charm bracelet that Alice carries is living. That way, it is adaptable. When she needs its bearing, she will wear it. When she does not need it, she will share it. There are occasions when she will want it – whether or not she needs it. I suspect when that happens she will get it. She is, after all, its servant and master.